Airsoft is a popular hobby in the US. If you want to support your local businesses and economy it might be wise to buy domestic airsoft guns. But what are the best American made airsoft guns? Let’s find out! Now I would like to point out that there are many American companies that sell rebranded Chinese and Taiwanese airsoft guns. I’m not going to be introducing these as I think you should just buy the “original” (they are all ripped off copies, usually of Maruis design), for a much cheaper price. Instead I’ll be focusing on actual made in America airsoft guns. Some of them might still be mainly copies of the original Japanese designs but atleast they are manufactured in the US. This means buying them sustains and creates new jobs in your domestic market (assuming you’re an American). It also usually means the companies stand behind their products and offer superior quality control, guarantees, spare parts and maintenance services. Not so surprisingly there are a lot of AR15 based guns made by American airsoft manufacturers. I mean there are other models out there but the AR5 definitely seems to be the favorite. So without further ado, let’s check out the US airsoft gun manufacturers and what they have to offer in different price ranges! Tippman is an American based company that is better known for their paintball guns. In recent years they have started to manufacture airsoft guns as well. If you have ever tried paintball or even heard about it you probably have seen a Tippman gun. They are pretty much an industry standard so they have a reputation to keep up so their airsoft guns are top-notch as well. Their line of airsoft guns are premium AR15 based models with different operating principles. 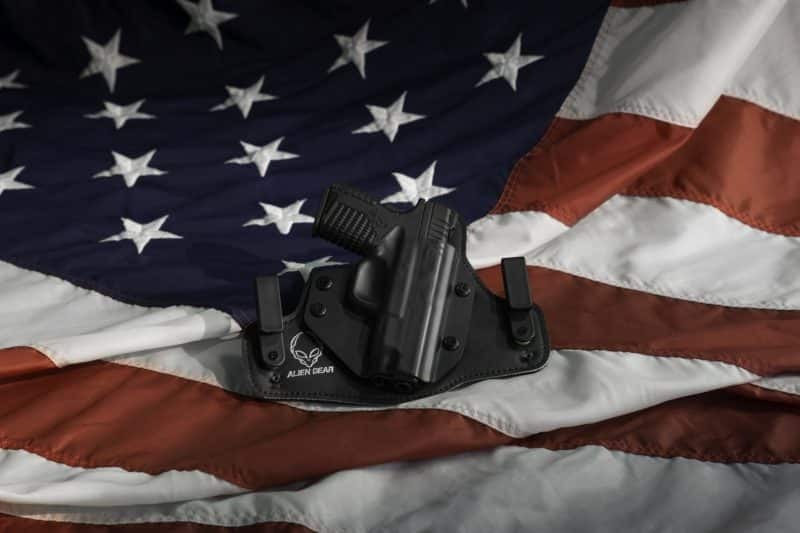 Most products by Tippman are made in the USA and they continually strive to produce outstanding USA made products. So this is definitely a company to consider if you want to support American companies. Like Tippman, Crosman is not originally an airsoft manufacturer and has branched out to airsoft only in recent years. Crosman is well known for their US made, yet affordable air guns in all shapes and sizes. They produce everything from backyard blinking BB guns to serious competition grade air rifles. They even produce air rifles and air bows (yeah, that’s a thing) for hunting. Crosman was established in 1923 in Rochester and they employ over 300 workers in their manufacturing facilities in Bloomfield, NY. In addition, they support thousand of U.S. jobs at other companies due to component manufacturing, transportation, technical support etc. So they are another large American company that actually manufactures airsoft guns, using American parts and labor. Crosman offers a line of affordable airsoft guns in different designs. The cheapest being toys for kids and the top line being affordable intermediate gaming guns. If you are looking for an affordable starter gun or a quality blinker for the kids that’s made in the U.S. your options are quite limited. In this case my recommendation would be the Crosman AREKT Commando kit. The kit combines a spring operated rifle and a spring operated pistol that is modeled after the Colt 1911. It comes everything you need to get your feet wet with airsoft so to speak. All you need is some quality eye protection and you are good to go! Great for kids playing airsoft in the backyard. Not so great for serious airsofting however. The build quality is superior compared to cheap Chinese toy guns and the performance is actually pretty good with FPS being around 300 on both guns. Accuracy is decent as well. But they are cheap springers and you get what you pay for. Just over $100 at RRP $119 is the Crosman GFSMGSubmachine gun which is clearly a replica of the Thompson M1, the legendary .45 caliber sub machine gun. This one is a AEG which means it’s electrically operated and comes with a battery and a charger. It’s not really a serious AEG but great as a starter gun. The gear box is plastic but it’s a copied Marui V3, so you can pretty much replace the whole thing if you wish to upgrade it. Considering the price it’s a pretty nice gun you will surely have lots of with! If you are looking for an affordable sniper rifle, definitely check out the Game Face GF529. It’s a bolt action spring operated Tokyo Marui VSR-10 copy. Considering the price it’s a very high quality and accurate airsoft sniper rifle. Click the picture for best price! Just make sure to get some high quality heavy BB’s (0.28g and up) because the hop up is very powerful and the lousy 0.2g BBs (I don’t really get why they pack these along with it) will fly up because of the powerful hop up. This is a good thing, considering you want strong hop when using heavier BBs, like you should be using in an airsoft sniper rifle. If you are looking for a serious gamers gun made in America, my recommendation would be the Tippman Arms M4. It’s a gas operated premium grade M4 replica. The great thing about it is it accepts both CO2 cartridges and Remote Line Adaptor. Performance is top-notch and you really get what you pay for. The muzzle velocity is adjustable between 300 – 400 FPS so you can use it for both CQB and outside field games with a simple twist of a knob. Just make sure your local rules allow the usage of adjustable gas guns. Even the rate of fire or ROF is adjustable between 8-15 rounds per second. Since it’s a gas gun there is no need for batteries and there are very little moving parts. This means low maintenance and high reliability. Something you should always look for in a high quality gaming gun. Well there you have, some of the best airsoft guns that are made in the USA. If you are an American and want to support your country, domestic business and the economy definitely pick out something manufactured in the U.S. If you have any questions, don’t hesitate to drop a comment and I will do my best to help you out! Today we are going to take a little trip in war history. If you are looking for WW1 airsoft guns you might have noticed they are quite a bit harder to come by than WW2 or Vietnam war era of airsoft guns. There are obvious reasons for the lack of World War 1 airsoft guns. Like the fact that most firearms of that time were single fire and quite cumbersome. Something the average airsoft player is probably not looking for. However, reenactment and live action role-play airsoft games are pretty common these days and there have been pretty large American civil war, WW1 and WW2 scenarios. In that scene it’s all about authenticity. People organizing and taking part in these kinds of events are usually looking for the best possible immersion. This means that everything possible needs to be as close to the “real deal” as possible. Including clothing, language, battle gear, insignias, accommodation, vehicles and of course the weapons. It would really take a big chunk of the immersion if guys fully geared in WW1 era uniforms and acting perfectly were carrying m4s or other modern rifles, don’t ya think? That’s why there are usually requirements for the clothing and weapons in these kinds of events and games. Some stricter than others. I know many times “classic” weapons, usually including WW2 era guns are allowed at least in airsoft events even if the scenarios are based on WW1. This is simply for the reason that requiring only WW1 guns would severely affect the turnout of players. You might also be somebody interested in war history and collecting historical memorabilia. Real WW1 era weapons, functional or not, can be hard to come by (and expensive) and an airsoft replica might just be thing you are looking for to fill that gap in your display. I thought it might be in order to go quickly through the weapon classes that were generally used during the WW1. The era was over a hundred years ago and modern firearms were still very much in their infancy. Black powder had been mostly replaced by modern smokeless gun powder and most weapons used self-contained brass cartridges like today. This made reloading and firing faster and automatic weapons were already developed, just not in wide use on the battlefield due to being expensive and unreliable. The standard issue firearm was a bolt action battle rifle, generally firing a full power rifle cartridge compared to the modern smaller assault rifle cartridges. Officers carried sidearms that were still mostly revolvers. There were a few semiautomatic pistols already in use though. In trench warfare shotguns and carbines (shortened rifles) were used extensively and at the end of the war there were couple sub machine guns available but they were rare. Fully automatic weapons were mainly full size machine guns which were usually placed on a gun carriage and used as a heavy support weapon. Now that we have general idea of the weapons of the era let’s look at the Best WW1 airsoft guns on the market! Probably the most iconic semi-automatic pistol of the era is the Parabellum p08 that is better know as the Luger in the western world. It was in production already before the war and a standard issue sidearm with high ranking German officers. Click the image for best price! The pistol had actually been produced since 1898 and for its time it was a very modern firearm. For that reason it was quite expensive but having been extensively used in WW1 and especially in WW2 it is instantly recognized by any history buff. Probably because of its popularity is available as an airsoft replica. There are several models of airsoft replicas available and probably the best bang for the buck is this full metal gas blowback one from WE. 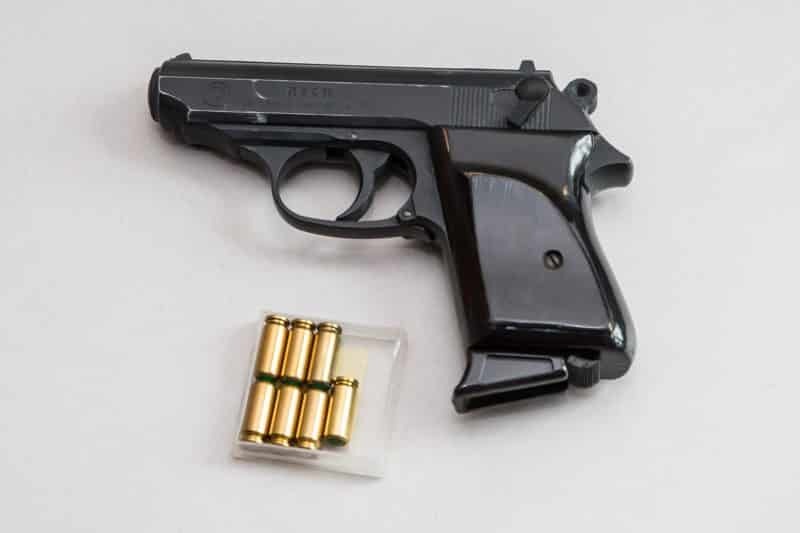 This Luger by the Taiwanese manufacturer WE is made completely out of metal except for the grip plates which are very authentic looking wood imitation polymer. WE is known for their high quality gas blowback pistols and this airsoft P08 lives up to that reputation. The operation of the airsoft gun is as close to the real deal as possible and the build quality is superb. Great for WW1 airsoft scenarios and a must have for collectors! The US counterpart to the Luger is as iconic if not even more than the Luger. It remains in production to day and is known as a very reliable side arm with high stopping power. I’m of course talking about the Colt M1911, also known as the Browning Pistol (by the designer John Browning). As the name suggests, the weapon has been in service since 1911 and thus was available during the World War 1. The real steel gun is a semi-automatic, magazined-fed, recoil operated pistol that uses the powerful .45 ACP round. It served as the standard sidearm of the US army from 1911 to 1986 and is still used today in the armed forces due to its popularity among its users. Like the Luger, the WE airsoft Colt M1911 has incredible built quality and operates as close to the real deal as airsoft gun can. Great for collectors or as a prop gun for theater or live action role-play. The performance is top-notch so it’s good for playing airsoft as well. It’s made out of plastic but it looks pretty close to the original m1911 used in the WW1. It’ll do just fine for a reenactment or live role-play. Won’t be much use for serious airsoft use unlike the gas blowback one, though. Another German classic semi-automatic is the Mauser C96 also known as the Broomhandle because of the narrow grip it had. The narrow grip is possible because it is one of the rare pistols that had a magazine well in front of the trigger assembly and grip. The Mauser C96 used the most powerful pistol round (7.63 x 25mm Mauser) of its time and this required a larger magazine that would not have fit inside the grip handle. It was produced from 1896 to 1937 and it was extensively used in both WW1 and WW2 by many countries. Because of the long barrel and the powerful cartridge the Mauser had better range, stopping power and penetration than other pistols of the era. It came with a large wooden holster that could be used as a stock to turn the Mauser in to a carbine rifle. A notable variant of the weapon in WW1 was the Russian one using a 9 mm round because there were problems with the slow production of the Parabellum p08 and need for a 9 mm sidearm. This variant was known as the “Red 9” because of the red symbol 9 burned in to the handle to warn users from loading it with the standard 7.63 x 25 round. There is only one good airsoft model available. It’s the WE-Tech WE712 full metal Gas Blowback one. Like the other WE examples, it’s full metal and operated very close to the original counterpart. It even comes with the stock holster and has full auto fire so you can use it as a sub machine gun! Like the other WE pistols, this is great for any reenactment situation, for collectors and for airsoft as well! Battle rifle was the standard issue weapon of the average soldier in the trenches of World War one. Let’s look at what’s available as airsoft replicas! I have to point out that when you consider buying these, you have to really think about what it’s going to be used for. If you want to get one for weekend games, I really can’t recommend that since most of these aren’t up to par performance wise compared to average AEGs. What these are great for however are reenactments, airsoft scenarios with high requirements for historical detail and live action role-play elements, for theater use and as collector items. The main battle rifle of US Army during World War 1 was the Springfield M1903 (formally United States Rifle, Caliber .30-06, Model 1903). It was a bolt action high power rifle firing the full size .30-06 cartridge. The rifle featured a 5 round magazine and could be equipped with a bayonet (and many times was in the WW 1 trenches). It was replaced by the Garand M1 semi-automatic battle rifle in 1936 but remained in service all the way to Vietnam War as a sniper rifle. The great news is that there’s one available as an airsoft gun! And what’s even better, it’s built from metal and wood just like the real counter part. The price ain’t bad either considering the quality. This is the perfect piece for WW 1 re-enactments and even for theater or collector use! The German counterpart to the Springfield rifle wast the Gewehr (rifle) 98, manufactured by Mauser. It was the main German infantry service rifle in the World War I. Mauser rifles were the industry standard during the decades leading to World War 1. Many inventions first implemented by Mauser were adopted by other countries like the US, Japan and Britain. Just like the other military rifles of the time it was a bolt action, single fire full power rifle with 5 round non-detachable magazine. What set the Mauser rifle apart from the competition was it’s simple, strong, safe, and well-thought-out design. 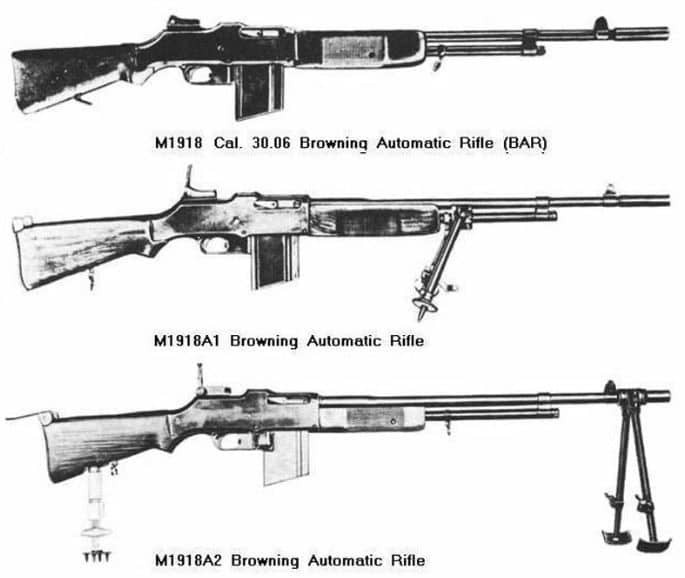 It was however expensive to manufacture and the firing rate was slightly lower in the hands of a trained user than some other rifles that allowed to maintain the sight pattern while cycling the bolt. The Gewehr 98 was in service from 1898 to 1935 when it was replaced by the Karabiner 98k, a shortened version of the same design. Unfortunately there are no airsoft Mauser Gewehr 98 replicas that I know of. However, it wouldn’t be that bad of a historical mistake to use a Kar 98k replica, which is available, if you need to play a German soldier in a WW 1 setting. They are essentially the same weapon, you know. The best Kar 98 replica would be the DBoys Real Wood Kar98. It is spring-loaded and has ejectable shells. This makes it pretty useless for serious airsoft but for the price you get an excellent replica. Great for collectors, movies, theater you name it. If you want something for more serious airsofting I would recommend the G&G CO2 Kar 98. It’s solid wood and metal just like the DBoys one. It doesn’t use ejectable shells that are easy to misplace. It’s powered by CO 2 which means the bolt action just reload a new BB. This makes the action super smooth. The CO2 gives it enough power to make it usable for serious airsoft skirmishes or to be used as a sniper rifle. The only downside is the rather high price. But you do get what you pay for! The list of rifles WW1 airsoft rifles wouldn’t be complete without the Russian Empires service rifle Mosin Nagant. Even if you have never heard of this rifle, it’s actually one of the most common military weapons of all time. Over 37 million rifles have been made after it was issued in 1891. Despite of its age it has been used in many modern day conflicts and is popular as a hunting rifle. The Mosin Nagant was the main weapon of the Russain Empires infantry in World War 1 and the Soviet Unions in World War 2. The weapon was very similar to the US Springfield rifle and the Germans Gewehr 98. A single fire, bolt action rifle with 5 round non-detachable magazine. It used a full size rifle round like all it’s counterparts. There is one high quality airsoft replica available. It’s an Asian OEM, meaning the same model is sold by several asian manufacturers. That doesn’t mean it’s low quality though. The manufacturers that sell it under their name are all top quality companies like King Arms, SHS and Redfire. Built quality is top-notch and the finish is just beautiful. It’s imitation wood but you really can’t tell the difference unless you are holding it. A beautiful replica for collectors, airsoft and live action role-play! There aren’t may automatic airsoft guns of WW1 available really. This isn’t really surprising when you think about the fact that there weren’t really that many automatic weapons available at the time. Only couple sub machine guns, some automatic rifles and of course full size machine guns. The machine guns were big and cumbersome, most cooled with water so it’s not surprising no one is offering an airsoft replica. I did manage to find one automatic though. The BAR! I’m not taking about a booze joint in the trenches, I’m of course talking about the Browning Automatic Rifle model 1918. The BAR was a heavy full automatic rifle firing the same .30-06 cartridge the main battle rifle Springfield used. The weapon was actually originally designed to be fired from the hip with a sling over the shoulder during an assault advance, a concept called walking fire. It was thought at the time this was something that was needed in the trench warfare, but it was never really used in this manner for obvious reasons. Generally soldiers walking upright with heavy automatic weapons are easy targets that can’t hit anything. Unless you ask John Rambo…. So instead of being this weird suicide Rambo gun the BAR was used as a light machine gun in a support role. It was still used more in this role in WW 2 but it did some action during the WW 1 as well. The combination of a large caliber round, full-automatic fire and a relatively small box magazine of 20 rounds meant it didn’t really function as a substitute for a machine gun or an assault rifle but it did offer much-needed firepower in the battlefield. And a sore back to the poor chap who had to haul the thing (it was seriously heavy) and it’s ammo. So let’s look at the airsoft counterpart of the BAR! The best and probably only one available is the almost full metal one by Matrix. It comes with a fully up gradable proprietary gear box. This just means it’s not an exact copy of a Marui design but it should fit standard V3 gearbox internals without hassle. The build quality is top-notch considering the price and amount of sheer material an airsoft gun this size needs. Well there you go, the best WW1 airsoft guns available today. Some or closer to the original than others and it’s of course up to you, the user, to decide if you value looks over functionality. If you are getting an airsoft gun to hang on a wall or for a reenactment as a prop gun, the functionality might not be very important. If on the other hand you wish use the gun for general airsoft skirmishes be sure to select a model that is realistically usable for gaming. If you any questions or suggestions, please drop a line in the comments! Today I want to talk about BBs. Biodegradable ones to be exact. Good for the environment sure, but are biodegradable airsoft BBs any good for gaming? Read on to find out. My personal opinion is that regular BBs should be banned, except for the heaviest ones used in airsoft sniper rifles. The reason for this is that the world is drowning in plastic as is. We should be responsible in everything to lessen the impact on nature, including our hobbies like airsoft. This means using less plastic, which regular BBs are made out of like you will soon learn. 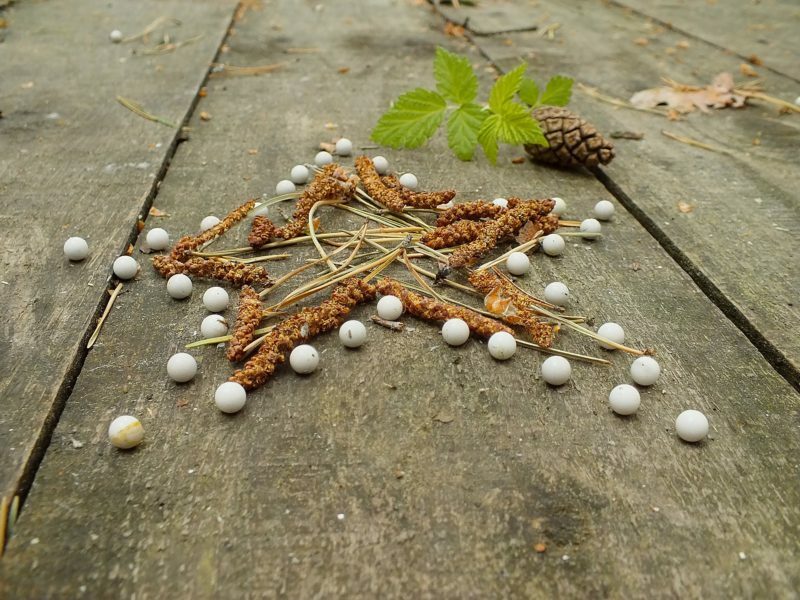 Using regular BBs means essentially littering forests and other playgrounds with plastic debris at an incredible rate. I’m sure most of you reading this have seen the amount of BBs on an airsoft field even if it’s been in use just for couple years. Here’s a newsflash for you, those BBs aren’t going anywhere for thousands of years and they will just keep piling up! I’m certain if someone did some serious research on the effects of airsoft BBs on the ecology of a forest there would be all sorts of negative outcomes. At the least they produce micro plastics that end up in our food chain. In the worst case scenario small animals and birds mistake them for berries and suffer horrible deaths from bowel impaction. So this stuff is important even if you don’t think so! The only logical solution to this is to ban regular BBs and require everyone to use biodegradable ones. The only exception I would allow is using heavy BBs in spring-loaded sniper rifles as the amount of BBs fired from these are minimal compared to your average AEG and other automatic airsoft guns. But that’s enough preaching, let’s get on with the facts! The differerence between regular airsoft BBs and biodegradable ones is the stuff that is used to keep the barium sulfate powder together. The so called binder and coating. In regular airsoft BBs the binder is made out of plastic. Most of the plastics used, like polystyrene, polyethylene and polypropylene, are from petrochemical sources. They are very resistant to bio degradation and it takes hundreds or thousands of years for a plastic BB to degrade in the soil. The plastics also contain chemicals that are bad for the environment and to humans and as they degrade they produce micro plastic that ends up in the food chain. Biodegradable BB binder can be made of several different organic polymer resins. Most commonly used ones are corn starch and sugar cane based polymers. These are essentially plant based plastics that can be consumed by the microbes in the soil. The also don’t posses any harmful chemicals to the environment as they are made of completely natural substances. Well yes and no. This depends on the BB. Quality BBs use materials that are truly biodegradable. Some test have been made by the airsoft community that have shown that some of the brands don’t seem to really degrade any faster than real BBs. Of course considering that regular ones can take hundreds of years you have to take these kinds of tests with a grain of salt. On the other hand many have tested that the high quality ones do degrade in a couple of years in the nature in right conditions. The length of the degradation process will vary highly depending on the environment. For instance pretty much nothing degrades in dry sand since there isn’t many microbes which are responsible for the decomposing process. Like I pointed out in the previous paragraph the time it takes for a BB to decompose depends a lot on the environment. A low quality biodegradable BB in a dry sand play field might take decades to decompose. On the other hand a high quality biodegradable BB in a moist forest floor with ample amounts of decomposing microbes might be gone in a few months. The lesson here is to use high quality biodegradable BBs that are known to be made out of truly biodegradable materials. Better quality biodegradable BBs will break down faster and are more resistant to premature degradation which can happen with some cheap biodegradable BBs if they get wet or are forgotten in the sun for long periods of time. Are biodegradable bbs bad for your gun? In short, high quality ones aren’t. There is no difference between high quality regular and biodegradable BB concerning performance and reliability. There have been some reports of low quality biodegradable BB leaving a coating in the barrel and the hop-up unit. Also, some low quality biodegradable BBs are prone to deforming if they get wet. I want to emphasize however that this is not a problem with high quality BBs. I’ve been using G&G bio BBs for years and never had feeding problem that was caused by a BB. Even low quality regular BBs are notorious for causing feeding issues and even damaging your gun. That’s why it always wise to use high quality BB’s from an established manufacturer. Using cheap BBs to save a few cents can turn expensive fast if your gun breaks and is really a foolish thing to do. There is currently only one brand of biodegradable BBs that I can honestly recommend. They’re products are accepted as very high quality BBs by the airsoft community and the materials used in them are truly biodegradable. I actually recommend getting your BBs from Amazon as they generally have very fast delivery times and usually the lowest price on the market. Only place you can find the BBs cheaper is buying in bulk straight from the manufacturer. The best brand of biodegradable BBs available is Bioshot. Their biodegradable airsoft bbs are competition grade and contain no toxic chemicals. They have tested the time it takes for their BBs to decompose. With ideal conditions it can happen in 60 days and takes at max 3 years in poor conditions. So they are truly biodegradable. The come in all the common sizes from 0.20g to 0.43g. That means they can be used with even high power sniper rifles. That’s about it for today! Please consider using high quality biodegradable BBs even if it’s not required by your local rules. The price difference to regular high quality BBs is marginal and some times there isn’t one. By using bio BBs you are being responsible and doing the right thing. This is also important for the reputation of the sport. We don’t want airsoft to be banned because of environmental reason do we? If you have any questions, don’t hesitate to drop a comment below!